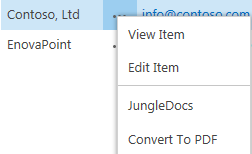 Now that you have installed JungleDocs, you can start activating its features. 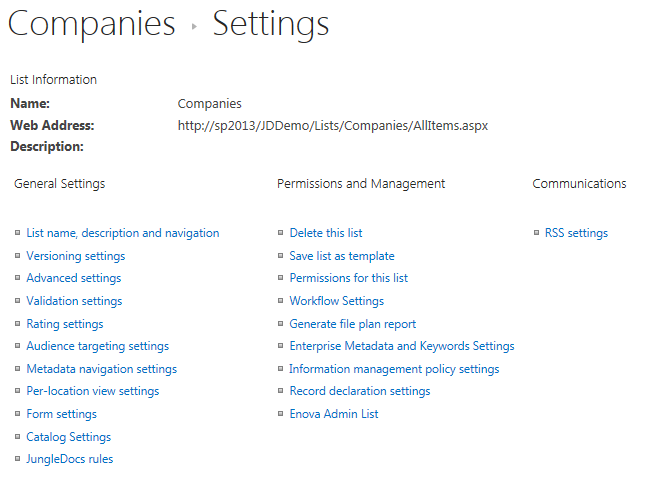 We will then, in step 3, move on to discuss the changes you can immediately see in your SharePoint interface. This feature provides JungleDocs configuration required for JungleDocs functionality on this site collection. Log in to the site in the SharePoint site collection using a site collection administrator account. Locate the "EnovaPoint JungleDocs Core" feature and click the Activate button to activate the feature for the site collection. This feature enables JungleDocs rules management for particular site's list content types, adds quick launch buttons in the ribbon and contextual menu. Go to Site Actions > Site Settings > Manage site features. Locate the "EnovaPoint JungleDocs" feature and click the Activate button to activate the feature for the site. Note: You must repeat these steps for each sub site on which you plan to use JungleDocs. You can also find a new button in the contextual menu. On top of that, you will find a link in the list settings for JungleDocs rules management. You can manage all of the rules for a particular list by clicking this JungleDocs rules link in the list's settings menu.